When it comes to granite countertops — whether in your kitchen or your bathroom — there are numerous benefits. From affordable prices to the durability and longevity, granite countertops have become a popular choice for homeowners. There are plenty of things to love about this style of countertops, as they can upgrade your kitchen or bathrooms look. The surface of granite countertops cannot absorb stains, making them very simple to clean and maintain. However, even though granite is resistant to stains, keeping your granite countertops looking their best, you have to ensure that they are properly cleaned and maintained. As the top countertop installation and remodeling services company in Barbados, our Fiberpol professionals know granite countertops like the back of their hand. So, we have provided some the most effective ways to clean your granite countertops, including on how to keep them clean on a daily basis. And remember, whether you have granite countertops or not, when you’re ready to upgrade your kitchen with a new look, choose the best remodeling services in the area that everyone knows and trusts, Fiberpol! If you follow our blog, there is a good chance you have a pretty good understanding of granite countertops and the benefits they bring. However, for those who aren’t familiar with granite, we thought it would be best to do a brief review of the popular countertop style. To start, granite is a type of rock that consists of numerous minerals, like quartz and mica. This type of stone has been used for centuries as a building material, but in the most recent decades, granite has started becoming a trend throughout kitchens and bathrooms in homes and rental properties. One of the beauties of granite is that it is a natural material, meaning no piece will be the same! In addition, the porousness of the granite surface can vary, but you can easily protect the beautiful, natural colors of granite countertops by using a sealant. Most homeowners will have their granite countertops sealed once or twice a year, but the frequency solely depends on how much activity and usage your kitchen or bathroom experiences. Sealant will keep your countertops from looking dull and lifeless. We mention the sealant to say this: when you are thinking about the best ways to clean your countertops on a daily, or even weekly basis it is best to be aware of cleaning products that will wear your sealing agents. Additionally, keep in mind that certain cleaning solutions will not only damage the sealant, but the granite, as well. To clean your granite countertops on a daily basis, you do not necessarily need to make a trip to the store to purchase fancy cleaning products. In fact, the supplies you need are the ones you most likely already have: Warm water, dishwashing liquid, and a washcloth, preferably microfiber. To clean them on a daily or consistent basis, follow the steps below. Apply the soapy water to your countertops with a microfiber cloth. Rinse your cloth often with fresh, clean water to get rid of the grime and suds. Once cleaned, dry the countertop with a fresh, dry microfiber cloth. Pretty simple right? 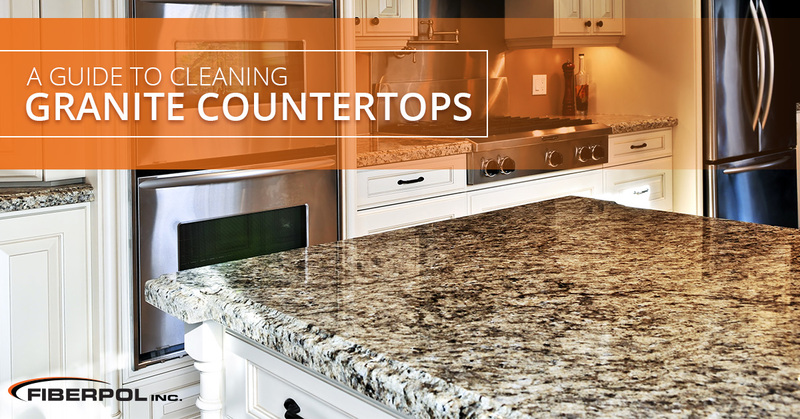 Cleaning granite tops isn’t very difficult and doesn’t take that much time, so it shouldn’t be avoided if you want your countertops to last. What About Those Annoying Stains and Watermarks? Stained countertops don’t give off the most ideal appearance, so it is important to do whatever you can to avoid it in the first place. To start, remember step four of the cleaning process listed above? Drying countertops after cleaning is crucial to avoid water stains. In addition, you’ll want to utilize coasters for beverages to avoid water rings and you’ll want to immediately clean up spills — whether water, wine, pop, or another liquid, as soon as they happen. If your granite countertops do become stained, you don’t have to make a special trip into town to buy the generic stain removers or bleach, as these may cause an even bigger issue for your countertops. The best way to put it is that the methods and products you use to clean stained granite countertops will mostly depend on what cause the stain to begin with. For safe measures, if your bathroom or kitchen granite countertops have been stained or has watermarks, your best bet is to refer to the manufacturer’s instructions to find out what strategies and products work best. When it comes to granite, and other stone countertops, you’ll want to avoid using acidic products, like vinegar, or even commercial cleaners that use citrus extracts or oils. As we mentioned, highly acidic products can not only wear the sealant, but also the stone, leaving your countertops looking lifeless. If you are wanting to clean your countertops with another method than we reviewed above, your best bet is to look through the manufacturer’s product recommendations. And, you’ll want to know how to utilize these products to clean your granite countertops on a daily basis. Otherwise you can risk permanently damaging your countertops with staining. Whether your kitchen or bathroom features granite countertops, keeping them clean requires frequency more than it does effort and time. It isn’t difficult to develop the habit of cleaning up spills immediately and wiping down your countertops regularly, especially when the tasks don’t consume a lot of our time. By doing this, you’ll be able to enjoy the beauty and durability of granite countertops for years to come. Does all this talk about granite inspire you to have it in your home? If so, contact the professionals at Fiberpol! Whether you want granite, or another stone, like quartz or marble, you can rest assured that Fiberpol has the trending and modern styles to upgrade your kitchen or bathroom. 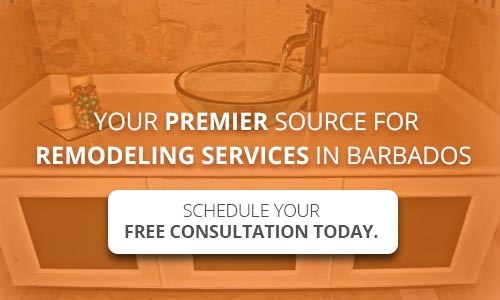 For more information about our countertop installation services or to schedule a free consultation, contact the experts at Fiberpol today!